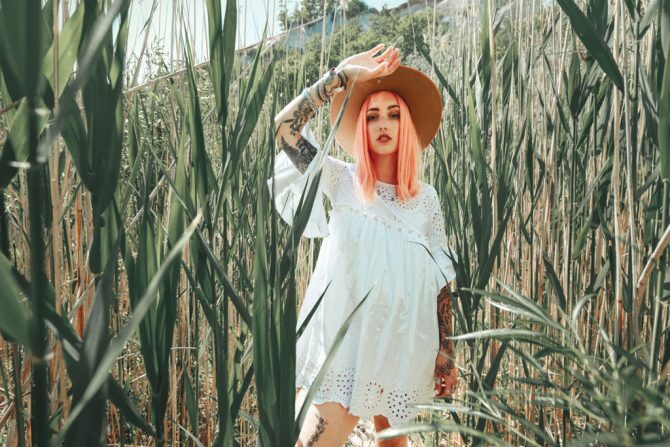 Luna Lindsay is a 26-year-old boho style child, originally from New Brunswick. 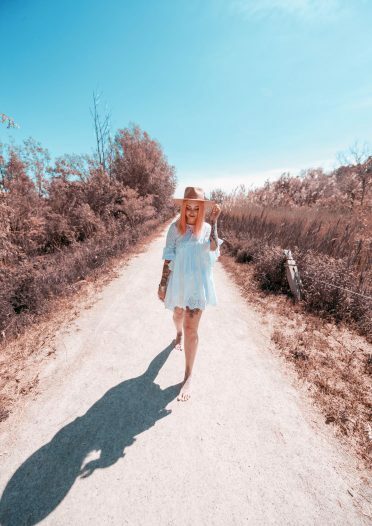 She is passionate about content creating, fashion, living a colourful life, and creating images with her own bohemian twist on it. 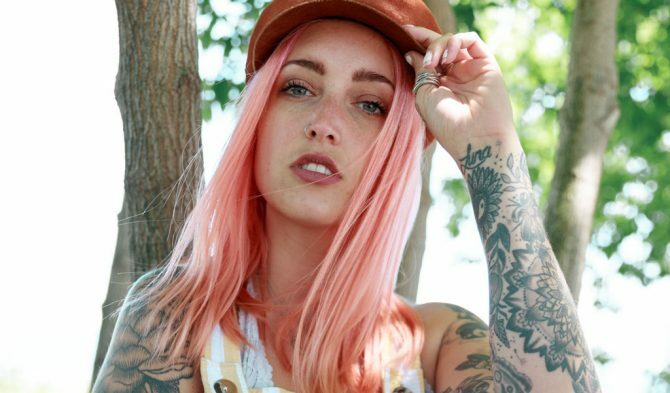 Every day, Luna finds herself fulfilling her passion for inspiring her more than 30,000 Instagram followers through creativity, colour, images and finding beauty in the world around us in ways that others often overlook. 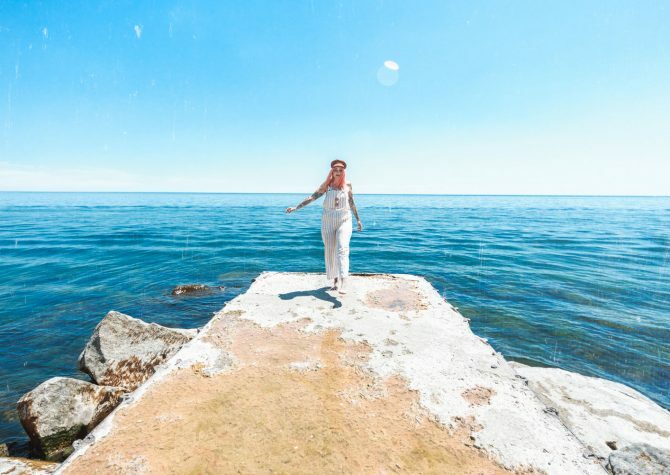 This passion was always within her, and she had been successful in building a personal brand, but Toronto Film School’s Marketing for Fashion and Entertainment Diploma taught her to be an independent and gave her the skills and motivation to continue to work hard and pursue what she loves. What brought you to Toronto Film School? I didn’t intend to return to school, but it was always a thought in the back of my mind. I was still living on the East Coast and googling styling ideas for a photo shoot that was coming up. To my surprise, a school called Toronto Film School popped up. With curiosity, I clicked the link and found myself reading up on a program offered called Marketing for Fashion and Entertainment. I decided to submit my info and the next day an admissions advisor called me to talk to me about the program. After continuously dodging the phone calls multiple times I finally picked up. When I got off the phone I had butterflies in my stomach and felt like I had to apply and go to this school. Why did you choose the Marketing for Fashion and Entertainment Diploma? I wanted to educate myself further in the brand I was building for myself Marketing wise and Toronto Film School just seemed like the right fit for me. Things were slowly taking off for what I was building and the further I looked into every course offered within the program it just seemed right. I love that the Fashion Marketing program touches on every aspect of the industry. Before starting at Toronto Film School was there anything that was holding you back from pursuing your passion? If so how did you overcome that fear? There definitely was! I had relationships and a life I was afraid to leave back home. I built my life in New Brunswick and had a job I was comfortable and used to working. The thing is I felt like what I was building for myself would only grow to a certain point where I was. I always felt like I belonged in a bigger city where there was ample opportunity to grow, and Toronto felt like the right place. I moved from a town with just over a population of 4,000 people to a concrete jungle of over 1,000,000. I told myself that the things that scare you in life are worth doing. I knew it was going to be a challenge, but I’m so happy I overcame my fear of a new life and followed my heart. What is the biggest change you have seen in yourself over the course of your time at Toronto Film School? I’ve become more independent as a person. I realized I can create something for myself if I just continue to work hard and pursue what I love. I don’t consider myself to be a shy person, but networking at certain events and giving presentations can give me anxiety at times. I put myself in situations that can make me uncomfortable, but I realize by doing this I’m allowing myself to grow as a person and confidence-wise one day at a time. What is one of the most important things you have learned/experienced at Toronto Film School? Coming up with great ideas isn’t something that happens in an instant. Our biggest project in Fashion Marketing is Capstone, which happens during term six. My instructor kept trying to push our ideas further and further and every week during our meetings it felt like nothing was ever good enough. I came to the point of frustration one evening feeling like I couldn’t expand my mind enough creatively and felt like giving up. We finally had a breakthrough moment which made the project come into place. Our marketing campaign ended up winning us Capstone. The one extremely important thing I’ve taken from TFS is that great ideas don’t happen overnight all the time, it takes pushing your creativity and ideas one step further every time. What kept you motivated in your studies? The fact that I was doing so well within my program kept me motivated. I knew that I had made the right decision by coming here and I was excelling in my studies. There were 100% times I felt like giving up and I’m so happy I pushed through. What are your plans after graduation both immediate and long-term? After graduation, I hope to continue to steadily grow my brand and continue to collaborate with multiple companies. I’m slowly growing my social media management business aside from my own and currently working as Toronto Film School’s social media intern. I hope to be able to travel more and work with multiple brands globally and continue to express how I see the world with a creative spin on it. What made Toronto Film School and your experience here special? The instructors, the environment, and the people I completed this journey with. I can honestly say when the people who are in charge of educating you care about your success and what they are teaching, it makes that much more of a difference in someone’s life. If you offered one piece of advice to an incoming student, what would that be? As cliche as it may sound, hard work pays off. If you work hard and do even just one thing a day to further what you are trying to do with your life, you can achieve and live out what you dream of. Be passionate and wholehearted about what it is you love.